Kodwari [拘り] can be translated as an uncompromising commitment. 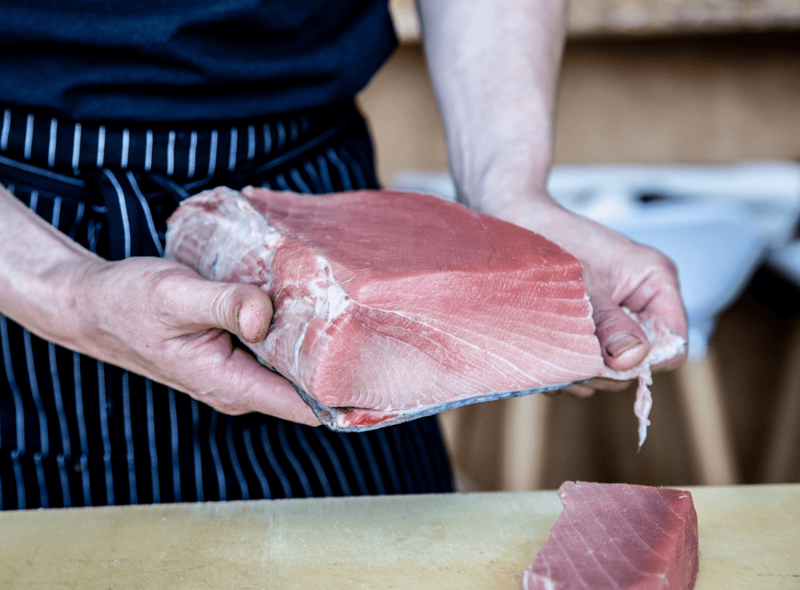 Chefs Tatsuya and Yoshi bring kodawari to sourcing local and Japanese ingredients, selecting wines and sake to perfectly complement the menu, building relationships with suppliers and patrons, and upholding the kappo tradition of hyper-seasonal ingredients. The journey of every dish served at STEM begins with the quest to find the finest ingredients from our backyard and from Japan. 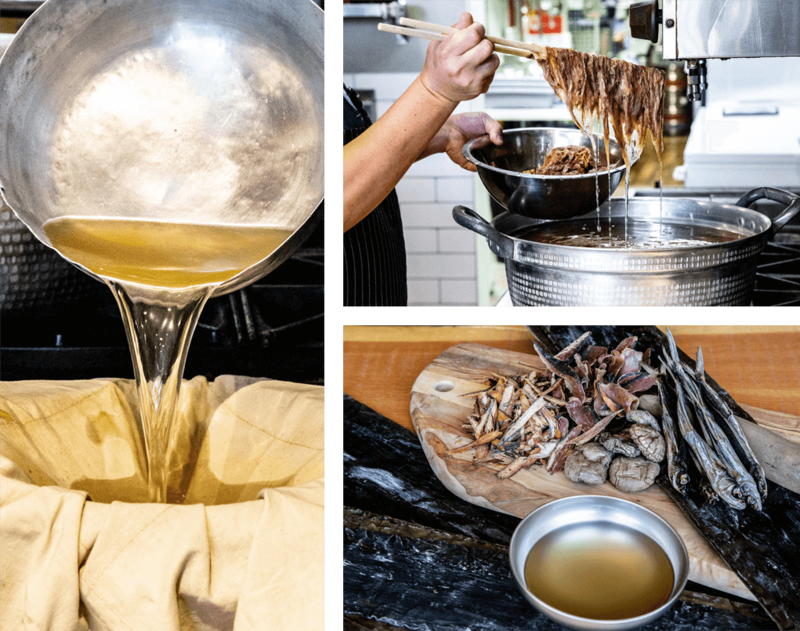 Chef Tatsuya is notoriously devoted to perfecting his dashi. Every day, depending on the menu, he can be seen personally preparing at least 4 or 5 variations of the golden broth. At the heart of Japanese cuisine is rice. At STEM, we bring in Tamanishiki, a short-grain, high-moisture, translucent rice that is the base of our nigiri sushi, and imperative to our signature dish, Staub takikomi gohan. A customer favourite! Specifically for our sushi rice, STEM imports an exclusive darker vinegar from Japan, that has been a favourite of Chef Yoshi for years. Our fish comes daily from Tsukiji Market in Tokyo, Japan. The seafood boards a commercial flight and is delivered to us within 24 hours. All local seafood is Oceanwise. With a focus driven by passion and diversity, Chef Tatsuya’s wine list is constantly being updated. His enthusiasm and knowledge of BC wine and of course, sake is unlike any other in the city. Chef Tatsuya curates the STEM wine and sake list based on creative pairings with the menu. Try our wine and sake flight, or ask Chef Tatsuya for a personal pairing with your dinner. See the current wine list, here. At STEM, we strive to build community. Our goal is to connect you with a community of farmers, fishers, and artisans, who work unseen to make every bite an experience. We strive to serve a journey on every plate and be the connecting bridge between the two. See a list of our current suppliers, here. A characteristic of Japanese cuisine is to change according to the season. When the seasons change, so does the landscape of our food. Our seasonal menu highlights the best of what the current season has to offer. See our current seasonal menu, here.